With this product we were able to restore the Hyper-V Infrastructure to our 2nd Data Center and 20 Hospitals. Continuous Data Backup and Replication features that allow us to have our entire Virtual Infrastructure recoverable in minutes. Before this product we were using something else that was entirely unreliable for our company. Backups need to be counted on. In Feb of 2014 in Columbus, Ohio there was a major Power Failure downtown that was the result of a gas explosion of the corner of our Data Center. Entire Data Center was offline for a week. (Catastrophic Event could be classified as a Disaster). With a proper configuration of this product we were able to restore the Hyper-V Infrastructure to our 2nd Data Center and restore functionality to about 20 Hospitals and Imaging centers around the state of Ohio. (Tier1 systems were restored with in 30 minutes and remaining filtered in). 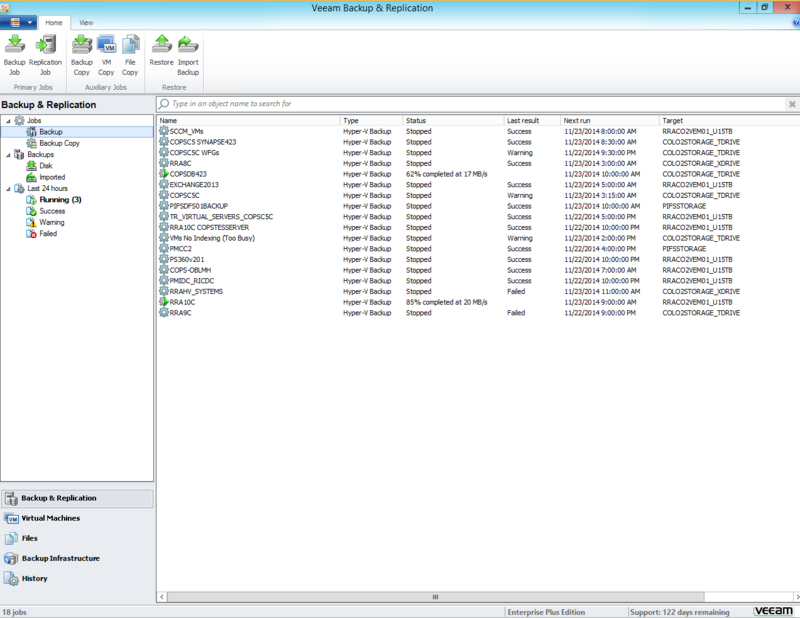 Yes but easily resolved with the support from our Sales/Tech team provided by VEEAM. Hard to say but I would say the company wouldn't be around based on the event described above. Initial Software costs includes 3 yrs of support = $65000 for 20 HyperV Servers. We looked at AppAssure (DELL) and CommVault. Do your research but by far this is one of the best products out there. Agentless is a very good thing to leverage in a Backup Software.